You might have noticed that I have used the Autonomous House phrase on this site or elsewhere before, and it can be a little daunting. What does it all mean? Hopefully I can clear the muddy water a little. An automatic or an automated house is exactly what you think it is: a smart home. Yes, coming home and talking to your house to make it turn lights on and off or change the temperature to a more comfortable setting does sound intriguing. Without a doubt, everyone would love to have this ability built into their home. 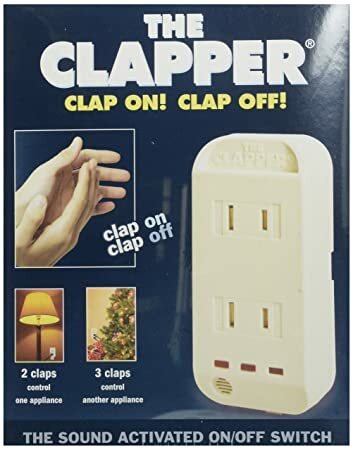 Even using something as simple as the Clapper would make your house closer to being an automated house. I might cover how to do this a LOT later on down the road, but I’m going to try to stick to the basics for now. If you are interested in this now, I highly suggest looking into researching Raspberry Pi (a credit card sized full computer) and going to www.instructables.com to check out some really awesome ideas. They have TONS of other Do-It-Yourself ideas on there that isn’t limited to just Raspberry Pi projects. “An autonomous building is a building designed to be operated independently from infrastructural support services such as the electric power grid, gas grid, municipal water systems, sewage treatment systems, storm drains, communication services, and in some cases, public roads. This sounds exactly what the title of this website is devoted to! I do it not so much for the “Prepper Lifestyle,” as this does fall into that definition, but more so to save a little bit of my hard earned money. And here is a thermal image of a building in Brooklyn that you could walk past every day and never know the difference. A Passive house is a building design that I will cover later. These houses minimizes heat loss so much that your body heat and the electronics in the house contribute to the heating of the house. With some planning and some lifestyle changes, anyone can have an autonomous house. Let’s make that dream a reality together! Next story What is a Passive House? Previous story How to pump water without electricty!